Weep, brought to our knees. Photos property of the photographers, no ownership. Nobody ever said life was going to be easy. In our young innocence we just assume it is because we know no different; our families have protected us from life’s troubles. That, my dear, can only last a short time, you do know that right? There are people like me who are over sensitive to other people’s suffering and pain. I feel other people’s pain, it becomes a part of me, I’ve been that way since I’ve been a child, I can’t undo who I am or try not to care. It doesn’t work. I sincerely wish it would. It would cause me so much less pain. I don’t blame anyone but myself but I always thought caring about others was a good thing, no? Well, not for me, you see. I’ve accepted, after many years, that people are very different, though growing up I thought everyone felt the way I did so when caring wasn’t reciprocated, I was often hurt. As a child how would you know that all people act differently? Who else could I learn from if not from myself? Life changed that, many years later in my life, not quickly enough but eventually I learned and adjusted, but it never felt natural to me.You deal with whatever happens to you and sometimes you still deflate like a withering balloon starting from a room’s happy ceiling and twirling slower and slower until all the life that has been kept it in the balloon deflates and now it’s just a tiny lump of pink lying embarrassingly at your feet, defeated and dead. Many things have happened in the world lately, things that I thought I would never see in my older years. Things I didn’t want to see: the horror of September 11th, the killing of children and adults in Newtowne, Connecticut and this week, the joyful runners of the Boston Marathon and onlookers killed senselessly. I spent almost half of my life in Boston, the good years, the young, innocent years when Hank and I got married. 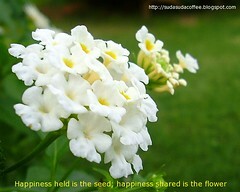 There was a joy known only to newlyweds, many more days clothed in bright yellow happiness than the darkness of fear. There was nothing to worry about back then; could it have been just magic? Maybe, it was the utter happiness, cloud of love and youth, having no responsibilities and living in a simpler, easier time. There were no bomb threats or terrorist attacks back then, now our children and grandchildren live in constant fear and uncertainty. I’m glad Hank isn’t alive to see all of this. The Boston Marathon this past week put people back, straight back to 9/11, this terror spares no one, no place, no time. How hard, how scary it to live actively in today’s world. I fear for my children and my grandchildren. I have lived a long, life, and for that alone, I am happy to be old. If I died tonight there would be no regrets. Sitting in my room, rocking in my chair, smiling at the pretty white flowers, visits from my children and grandchildren, sleeping and a good meal is all I ask for and all that I want. I don’t envy the youth of today, in fact, I feel quite sad for them. Plinky: What are your obsessions and why? Accidents. Terminal Illness. Plane Crashes. School shootings. Any type of shootings, 9/11 Again. Health and Safety Issues. Sickness. Explosions, Fires, Bombs. Natural Disasters, Nuclear Weapons…do you get the picture?Horrible things have happened before and seem to be happening at a rapid pace. I feel scared; I don’t let it stop me from doing things but sometimes inside me, I am a crouched, quivering child.Why? Because these are all random things; they are out of my control and most importantly, no one can tell me they are never going to happen again.If only…..The world has become a very, scary place. I was thrilled to be going with my family and in-laws on a 5 day cruise to Bermuda, courtesy of my very generous in-laws. It brought back all sorts of memories that I hadn’t thought about for many, many years. I remember that 12 years ago my parents treated my sister’s family and my family for a cruise to Bermuda. It was a family vacation complete with my parents, my sister’s family and us, and most importantly “the cousins.” Four little fresh faces, all shiny with excitement, a boy and a girl for both my sister and I: 5, 7, 8, and 10 who love and adore each other. After that trip, they would always be connected and they still are very much so today. I have a photo that I cherish of my sister and I that shows our happy faces and wind-swept hair. Our brown hair blends together and although we look completely different, this photo just smiled “sisters” and love. I remember 12 years ago we were all on deck as the boat pulled away from the dock. There was yelling and whistling and waving, and total excitement; sometimes I wish life could have stopped at that joyous moment but we go on anyway as time wills us, forces us to do. Twelve years later, my husband’s parents (who felt sorry for us) treated the four of us and them to a 5 day treasure of a vacation, again to Bermuda. What a difference time makes and it passes so quickly you barely have a moment to stop and think. This time, when we pulled away from the dock, I went outside to look and cheer, and I couldn’t. I didn’t even think of this as a factor when I went outside but as soon as the boat started moving, I felt sad. It was so emotionally charged for me that it was surprising to me and so unsettling. I couldn’t speak, couldn’t even cry, I just felt numb yet able to feel this horrible and powerful feeling of complete sadness. I went inside as fast as I could, not walking, not skipping but running as fast as my aching body let me. 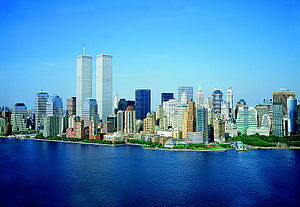 The skyline looked empty with the devastation of the twin towers. How could I enjoy the view when the twin towers were not there? They were in the background of our first trip; there was nothing now. It also reminded me in a painful way that my dad was not with us; he passed away 9 years ago but the pain felt fresh and raw and stabbed me at different moments, like it did years ago. Time does not change that type of pain, it hides, it tries to fool you, but once someone dies that is special to you, life as you have known it, is gone forever. It’s been a long year, of unemployment for my husband and the pain of Fibromyalgia and Hashimoto’s Thyroiditis for me. Add narrow angled glaucoma, TMJ, chronic pain, and a connected tissue disorder and other unresolved medical problems and that has been my life for the last, long, 4 years. Back home now, we are enmeshed in back to school errands. Our son is a Senior in HS this year, our daughter is a Junior in HS. Next year there will be another change, that will be wonderful and heartbreaking and empowering and positive. Our son will leave for college, our daughter a year after. I am cherishing every moment that we spend together but I know that there will not be enough time for me. This vacation created new memories for the four of us, ordering room service, having dinner together every night, laughing. These are the memories I will cling to, in my heart, forever. Time goes by and I with it, looking forward, looking back, trying to ride the waves as they rise and fall, rise and fall.